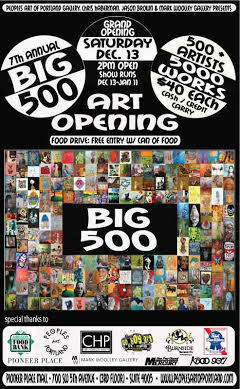 As I mentioned in my last post, I’ve been invited to be in The Big 500 show in December. The organizers have presented us with our wood panels last month and I’ve been painting furiously to have all of my five panels ready by the show deadline. 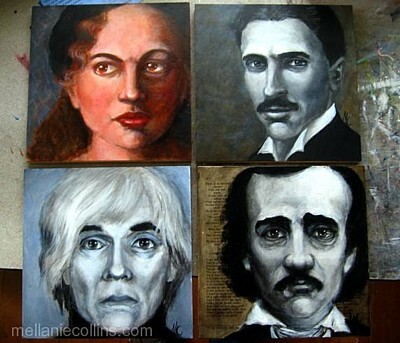 I have four of my five paintings done, but I may fiddle with them a bit. Each of my paintings will be will be scattered about among the other 5000 works that will be for sale there. No labels or any notation is used to identify the artists so each work will be sold on it’s own merit. This is an excellent first art show for me. It’s great to be included in such a great venue with so many fabulous artists! Congratulations Mellanie on landing in the Big 500. Your portraits look awesome. I hope you do very well. Thanks Tim! I’m pretty excited about being in the show. So glad you like the portraits. I’m proud of the work I’ve done for this show.